Unlike many of our grant recipients, Richardson Rescue owns and operates a physical facility. The rescue center has a capacity of 130 animals, with nearly 40 dog runs, a medical facility with 15 crates and an observation area with 12 crates. And outdoors, there’s a dog park for exercise and play. As a publicly funded rescue, the number of companion animals they can save is entirely dependent upon fundraising. Their operating costs are supplemented by campaign drives, grants and affordable adoption fees. In 2012, this rescue located “wonderful, loving homes” for 385 dogs and cats. Thanks to their ongoing efforts, they fully expect this year to be a banner one as well, with a projected 425 adoptions. Reviewing their numbers of successful adoptions, we can truly say that Richardson Rescue is hitting its stride after a decade of saving the lives of South Carolina’s homeless dogs and cats. Every adoptive parent goes home with an informational packet containing medical records, microchip information, proof of vaccination and flyers on subjects from training methods to medical advice. Thanks to the signficant donated time of a trainer who specializes in the resolution of behavioral problems, this rescue offers almost daily socialization training to adoptive pet parents. They’re always on the lookout for volunteers to feed and play with the animals, work on special projects and the occasional performance of clerical work. In addition to their work in providing affordable alteration surgery to pet parents with limited means, Richardson Rescue actively pursues avenues for educating the public and governmental agencies about responsible pet stewardship. Thanks to their steadfast endeavors, spanning years of coordinated enterprise, they successfully led a reform effort in 2012 to improve local animal-rights legislation regarding the chaining of dogs. Richardson Rescue sought a grant of $1,500 to further the vital work of its Low-Cost Spay & Neuter Program. For the last decade, this program has been integral to its operations, offering these services to local South Carolina residents. While the scale of the efforts depends largely on funding, their dedication to this cause is unwavering. That’s because they have seen firsthand the positive impact that these surgeries have in controlling homeless populations and reducing the number of euthanized pets. In spite of their efforts, thousands of dogs and cats were still put down last year by the “animal control” agency, in their county alone. Sadly, the vast majority of these deaths are preventable. In their application, Richardson Rescue asked our foundation to support them “in our quest to be part of the solution as we stand united on the front lines of rescue.” It was our great pleasure to fully fund their grant proposal. For all of their diligent work on behalf of their community, all of us here at Life’s Abundance salute the hard work of these volunteers. 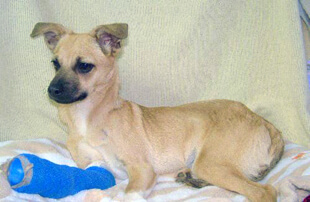 When Dana, a homeless Chihuahua Mix, was found, she had recently been shot, the bullet breaking one of the bones in her front right leg. Thanks to the exceptional medical care she received, Dana is expected to make a full recovery. 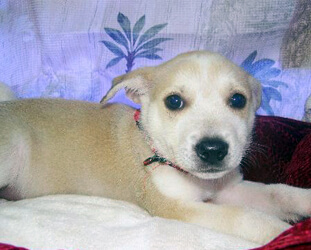 A Terrier-Cattle Dog Mix, Lawson was saved from a high-kill shelter along with his mother and siblings. 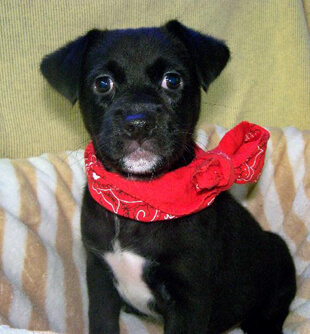 According to volunteers, he’s highly social, playful and is a huge fan of cuddling. Another survivor of a high-kill shelter, Blackberry is a true water-baby. A beautiful Lab Mix, she’s also reputed to be a budding toy connoisseur … especially of the squeaky variety. 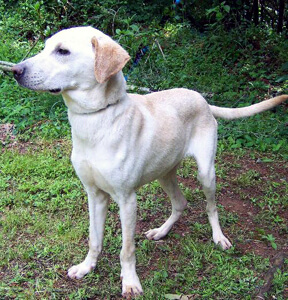 An adult Lab Mix, Gates is believed to be just over 2-years-old. Another veteran of a high-kill shelter, he was emaciated when he arrived at the shelter, but even then his tail was set to full-wag. With a fantastic temperament, this boy is sure to make a great addition to any deserving family. We’d like to convey our heartfelt thanks to all of our readers and customers who, through their personal donations and continued business, make this and every grant possible. Each one of you has directly helped Richardson Rescue to continue its vital work to make the world a better place for dogs and cats. Remember, every time you order from Life’s Abundance, a portion of the profits goes directly to our foundation. If you would like to make an additional contribution to help ensure that deserving ventures like Richardson Rescue continue to receive much-needed financial support, please call us toll-free at 877-387-4564. An agent will be happy to receive a donation in any amount. Check back next month for another dose of great news from our charitable foundation! With your help, we’re helping homeless animals become companion animals. Richardson Rescue is very proud to accept this wonderful award from the wonderful and caring people with Dr. Jane's. Their help makes the difference for many pets and families. They encourage us to become stronger and better. We can not express our full gratitude and the happy wags and purrs they made happen. People that work so hard to help us are truly a gift and are one of the most important parts of rescue along with public support and adoption parents. Congratulations to the much-deserving Richardson Rescue, and a very sincere thank you to this Foundation for their generous grant. My Basenji-mix was saved by this rescue, and this is the 7th year of adoption bliss for me because Janet and her team believed enough in Sydney's spirit to fight back from her injuries. They are tireless in their efforts to make a difference in their community, regardless of the odds or funding deficits. This rescue has endured because they challenge the status quo and never stop learning, teaching and growing - volunteers to the administration. Their hearts move mountains (and cats & dogs), without a doubt. Again, thank you for awarding them this grant and please consider their cause in the future. They are top-notch and so needed in rescue. Congratulations Janet and all your helpers! that's great news!